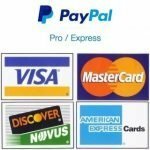 Maverick digital smoker thermometers are available in many different styles ranging from a basic digital pit thermometer, to multiple probe remote blue-tooth that can be monitored via an app on your phone. Years ago Maverick pioneered the multi probe digital remote barbecue thermometer with the still popular ET-73 model. Do you want to monitor food and pit temperatures at the same time? If so you will require at least 2 probes. 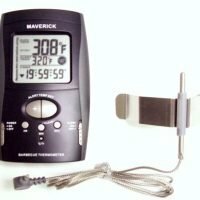 Most of the Maverick digital smoker thermometers come with 2 different probes, one for the food and one for the pit. The pit probe can be swapped out for another food probe in most cases. 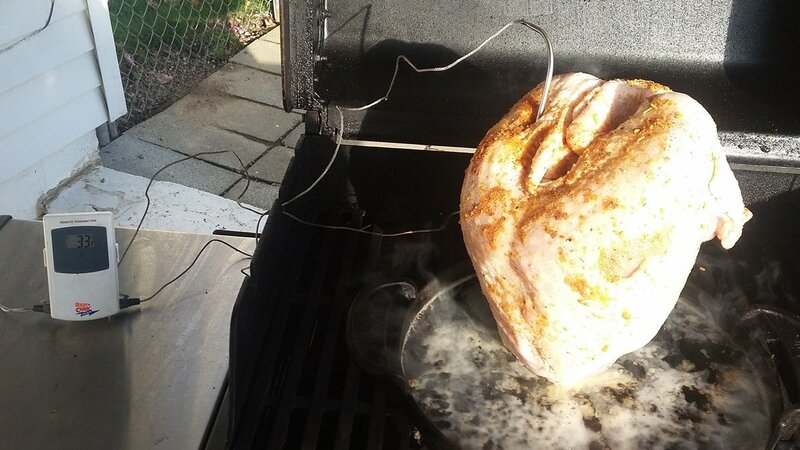 Generally speaking it’s tough to use a food probe for ribs or small chicken parts like legs. 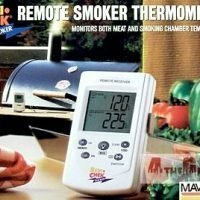 The latest Maverick digital smoker thermometers are Bluetooth equipped and while being able to monitor your barbecue from an app on your phone is cool it does have it’s limitations. Typically these are more expensive and the range is a lot shorter then a standard remote thermometer. Also a standard remote thermometer is always on and reading your temps while you need to wake up your phone every time you want to check it. If your smoker sits more than 100 feet away from where you want to read your remote neither will probably work for you. You will get the top end of range if your out in the country but if your in the suburbs or city the range will be cut severely. 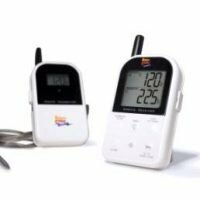 Maverick also offers a digital pit thermometer which is nothing fancy just a probe and digital display that will alert you if the temps gets to high or low. It’s very basic but it works very well. Most of these thermometers also have timers built in.